Silicone-based anatomical models and mock vessels have long been utilized in the medical device industry for device testing, procedural simulations and physician training. One of the known challenges of silicone as a material for vascular models is the inherent surface friction or tackiness present. BDC Laboratories developed a proprietary friction reduction surface coating treatment, branded SLIC™, for their silicone models that significantly reduces surface friction to a magnitude similar of in situ vessels. BDC’s proprietary process produces a uniform, ultra-thin, gap-free, conformal and compliant coated luminal surface that performs in a similar manner when dry or wet. Once applied to the surface, the SLIC coating forms a durable layer that has been shown to perform repeatedly in excess of 100 repeated tracking cycles. To ensure an appropriate clinical analog result for bench testing models, BDC Laboratories qualified the frictional force of SLIC treated vessels against fresh bovine arteries and demonstrated a comparable result between the groups. To quantify the static and kinetic frictional forces, a sledbased test method derived from ASTM D1894 was utilized; whereby, a sled of known weight was pulled across the luminal surface of each test article while the associated force was continually measured. Testing was performed on untreated silicone vessels, silicone vessels treated with BDC’s SLIC coating treatment and excised, wetted bovine aortas as a control. Multiple test runs were performed on each test article and the data averaged for analysis. Figure 1 presents the frictional forces with the initiation of the sled movement and Table 1 presents the averaged static and kinetic frictional force for all three test populations. The use of silicone for manufacturing complex anatomical models and simple arterial/venous vessels is common and advantageous for its transparency, stability and durability. However, the inherent tackiness of the final product causes challenges in the models’ use when tracking catheters, delivery systems and similar technologies. A common manner to overcome this drawback has been to add a lubricating agent such as dish soap to the test solution; however, the presence of soap bubbles and other byproducts can present a problematic test environment. This is no longer required for silicone models manufactured by BDC Laboratories with their proprietary SLIC coating treatment. BDC developed the SLIC treatment for their silicone anatomical models to significantly reduce the inherent friction of the luminal surface and result in a lubricity representative of in situ vessels. Therefore, the use of silicone models treated with BDC Laboratories’ SLIC processes for bench testing and physician training will not require the addition of a lubricating agent to the test solution to present a clinically relevant environment. Moreover, BDC’s SLIC treatment will present comparable performance whether used in a wet or dry environment and maintain its performance for numerous tracking cycles. 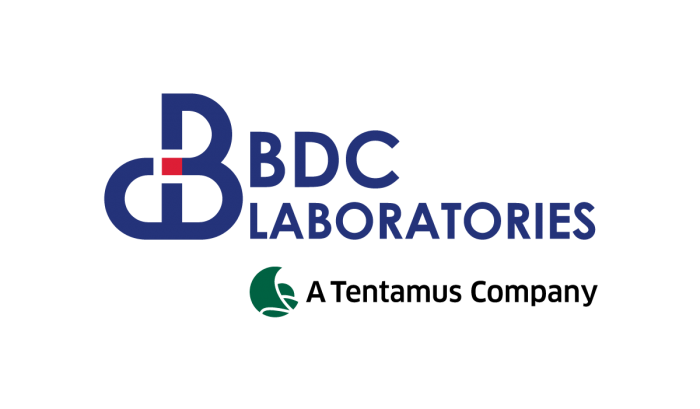 Biomedical Device Consultants and Laboratories (BDC Laboratories) are member of the global network of laboratories and consulting companies of the Tentamus Group. BDC Laboratories offers products and testing services to the medical device industry that aid in the mechanical and functional testing of medical device technologies as they relate to clinical outcomes. For over 30 years, BDC has been providing testing services and equipment to aid with research and development, and functional product evaluation for regulatory submission of vascular grafts, endovascular stents and stent grafts, catheters (PTCA, PICC, CVC, and general guide catheters), and heart valve technologies.